Unlike renovating your home for long-term enjoyment, updates to your home for sale require a lot more forethought and planning. There are many things to consider and be mindful of. And, you can't follow the advice of most reality TV programs. Before you do anything, you should call a real estate professional (like me) to determine which projects will bring you the most bang-for-your-buck. 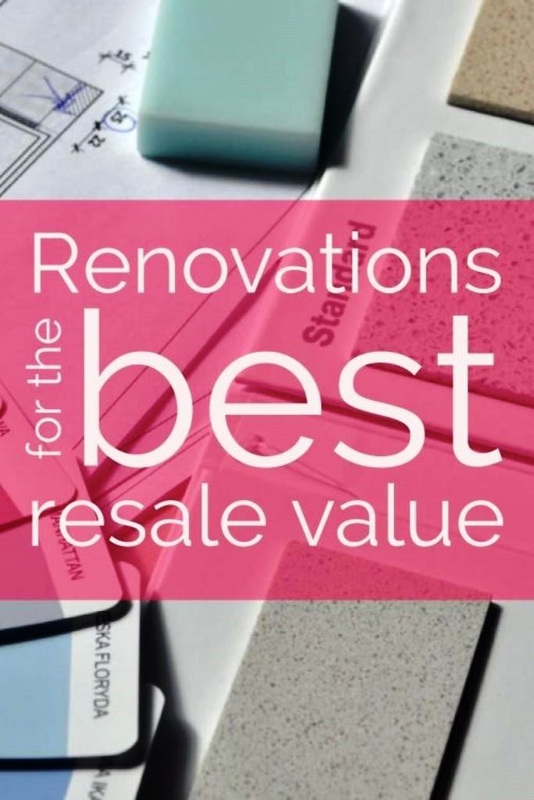 Some renovations don't need to be tackled before the sale, others may be necessary in order to sell. Also, look around at comparable homes. Knowing what your buyers will be experiencing when they're searching for a home will help you to determine which projects are most important. If most of the homes have dated kitchens and your kitchen is significantly newer, then you can avoid spending money on a kitchen update. However, if most of the kitchens are newer and yours is dated, a kitchen makeover would be in your best interest. Needing to update a space doesn't mean you have to take it down to the studs. Unless there's a real need to gut the space (such as structural damage), you should keep as much of the items in place as possible. Colors, hardware, and finishes can go a long way in making the old seem new again. Sometimes, all that is needed is a professional cleaning to remove the evidence of wear-and-tear. Also, inexpensive and largely unnoticed changes, such as better insulation, can have a great return on investment while also decreasing the overall cost of maintaining your home. Save brand-name and upscale options for your new home. When you're getting ready to sell, you should be focusing in the "look" rather than the items. Buyers want spaces to look updated. They'll typically respond to certain features and colors, but they'll rarely care if that slab of granite was the most expensive in stock or the stove is the most coveted stove on the market. And, in many cases, a high-end choice could end up turning off buyers instead of reeling them in. Having trouble deciding which options appeal to the most people? Post about it on social media. Whether you asked your friends/followers or posted in a group/forum, you'll quickly find the answer you're looking for. After all, everyone loves an excuse to share their opinions. It's also a great way to let people know that you're going to be selling your home soon. Which could make it easier to find your buyer in the future. When you're trying to appeal to buyers, you want them to feel like there is little they have to do to bring a space up to their standards. And, sadly, cheap labor often looks cheap. Which means that buyers will create to-do lists in your home, rather than imagine themselves living in it. This means they'll walk away from your home in favor of a "move in ready" or a cheaper home. Or, they'll come in with an offer lower than you want because they'll have deducted the costs of redoing the renovation. Working with a licensed and insured professional also protects you legally and financially. Permits are absolutely essential if you want to sell your home. Renovations done without permits can cause delays or result in penalties at the sale of your home. It's better to avoid the problem all together and do the renovation buy the books.